Today, I asked God to give someone peace because he is dying. In fact, he will die soon. I know he has been sick for some time -- a lifetime, really. But he hid it from most with quiet dignity for many years. This death has gradually consumed his life. He hurts, he suffers, he slowly wastes away. Death is not far away now. It is close, it is coming, it has almost arrived. while I fumbled around my heavy and clumsy heart. and think about his imminent passing. Today, I stopped. Today, I found the card I bought last week, opened it up, and felt completely inadequate to face that b l a n k s p a c e.
I told him the truth. A long time ago -- it seems a lifetime ago -- I was a young girl who needed help. I didn't ask him for help. I didn't know he could help me. But he did. I found out much later what he had done. And I asked God to give him peace. He deserves much more than that, but this is what I can give. I pray he understands my gratitude before he dies. Above is a mix of acorns, mostly from white oaks and red oak trees. 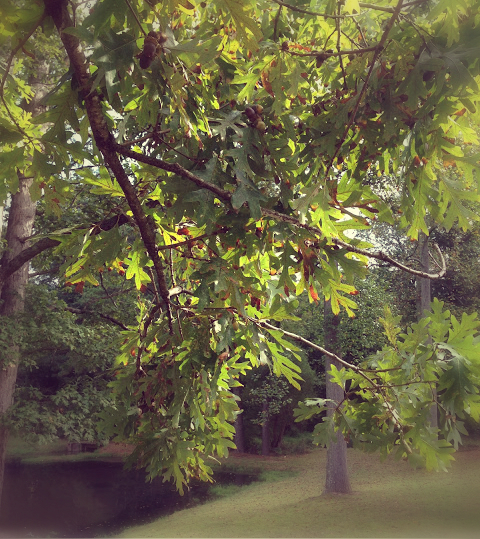 If you look closely at this white oak bough, you will see some acorns. What activities can you do with acorns in the elementary classroom or at home? Quite a few STEAM (Science, Technology, Engineering, Arts, and Math) activities, as a matter of fact. 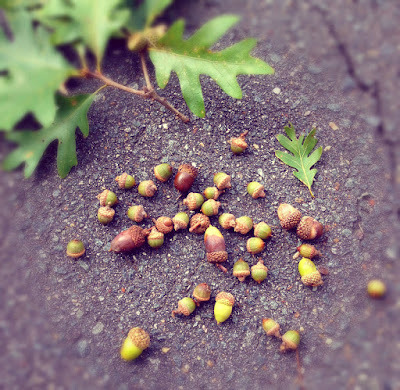 Children can use their senses to describe the acorns, or learn about the life cycle of these baby trees. They can also learn to identify the different types of oak trees. Here is a red oak printable for students, courtesy of SuperColoring.com. You can save as a pdf and print for your kids. 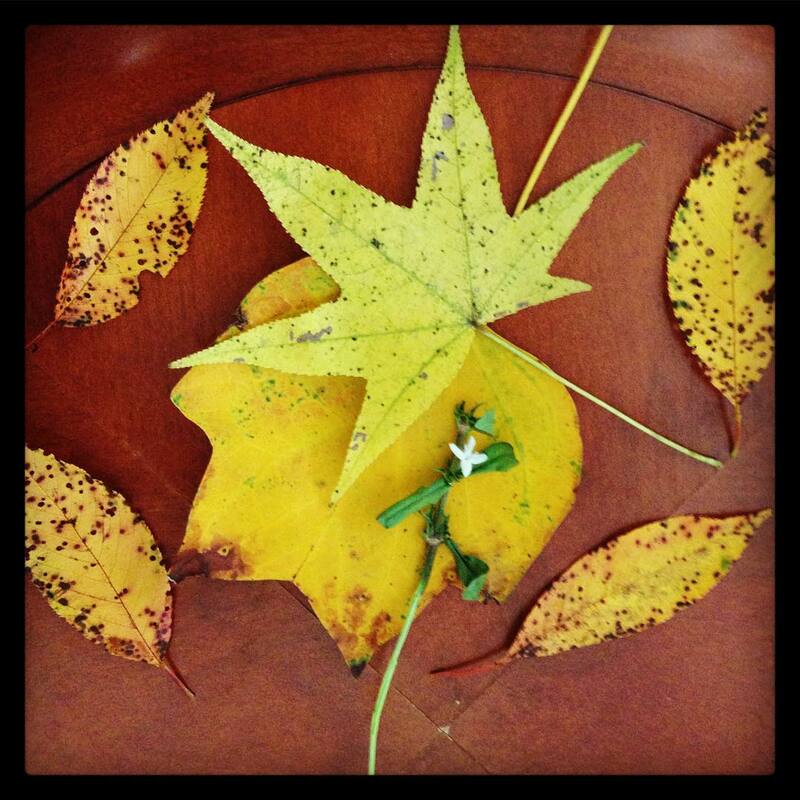 The change of seasons is a great reason to take your child to the library to choose fall or nature-themed titles. Our library has the following books to check out, old school style. Many local libraries have free online children's books that you can access from mobile devices or computers. One of these services is Tumble Books, which we love. If you have a library card in North Carolina, you can also find downloadable, digitized books through this link. Why not draw these adorable acorns? 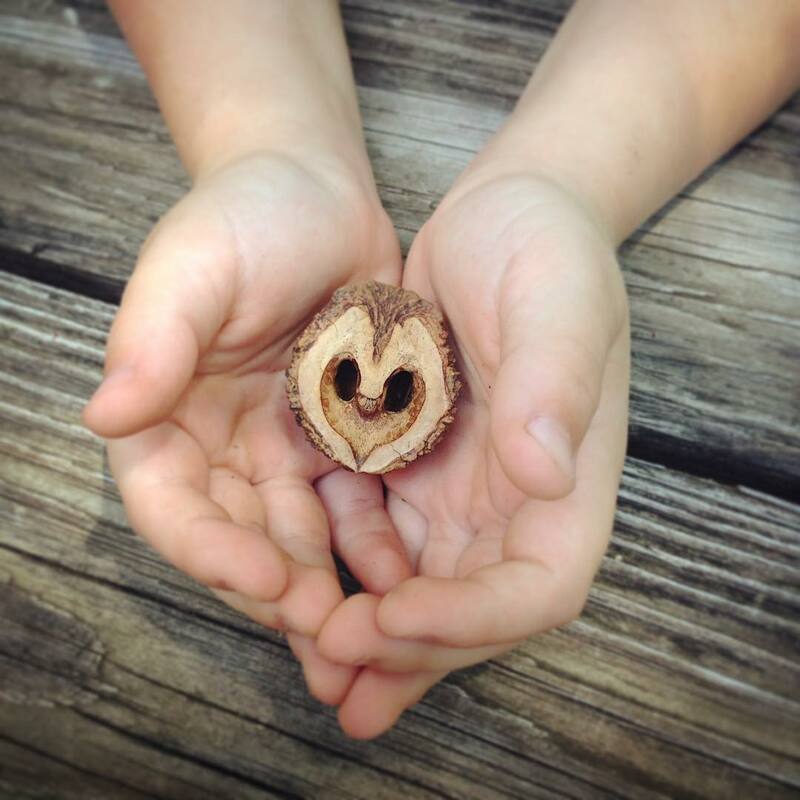 Students will learn how to sketch, paint, and draw realistically with acorns as subject matter. Count, sort, and roll those little acorns all around the room. Hopefully any of these activities will pique your student's curiosity about the natural world all around him. Clarice and I started a Saturday '90s Dance Party in the studio that turned into the Best of the '80s. I tried to keep my watercolors loose while listening to "Total Eclipse of the Heart." Clarice also wanted to hear Toto's "Africa," so she could learn the lyrics. So, it was pretty amazing in the studio today. This is Alex's favorite sketch. He brings me acorns, because he knows I love them and will eventually draw them. A Lovebot for you, transmitting good vibes. Alex tried out the circular sponge with some gouache paint a few days ago. Alex with his classmates at school. I started this quick sketch with some Koi and Sakura brush pens and then layered a black and white floral pattern on top. This is my favorite new art book. Deborah Kemball's quilting and embroidery are amazing! I don't sew much, but I have always been inspired by textile arts. Earlier stages... I always draw these freehand. The point of this series (for me) is find simple, free-flowing joy in the making of the pieces. It's really wonderful that they then provide happiness to others later. I am so thankful that I participate in something like this. 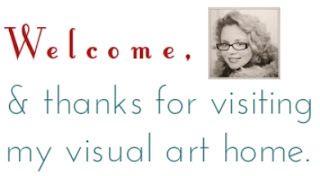 This is an inventory card I recently received from Art-o-mat. I got a sweet email this week from a Cosmopolitan patron. Thanks so much, Javenah! As you can see, I still have the work of Klimt still on the brain. His Tree of Life painting continues to inspire artists all over the world today. 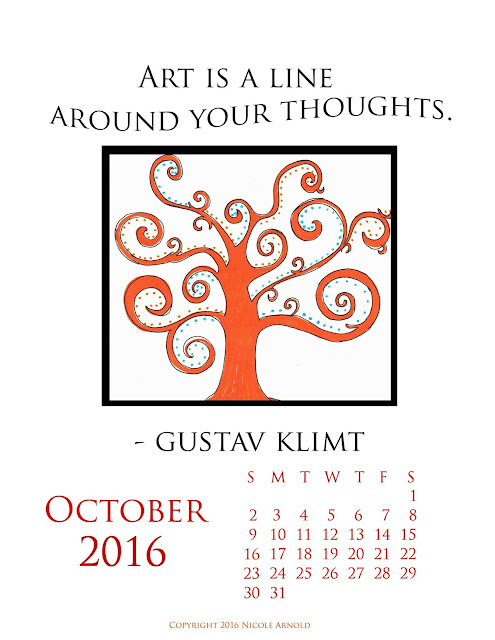 I took this motif to create a calendar printable for my blog subscribers. You can subscribe to my newsletter, too, if you hit "subscribe" on the right margin of my home page. I'm looking forward to October when I will teach a course in person at the Sawtooth School for Visual Art in Winston-Salem, NC. If you are interested in a class in person or online, please let me know. 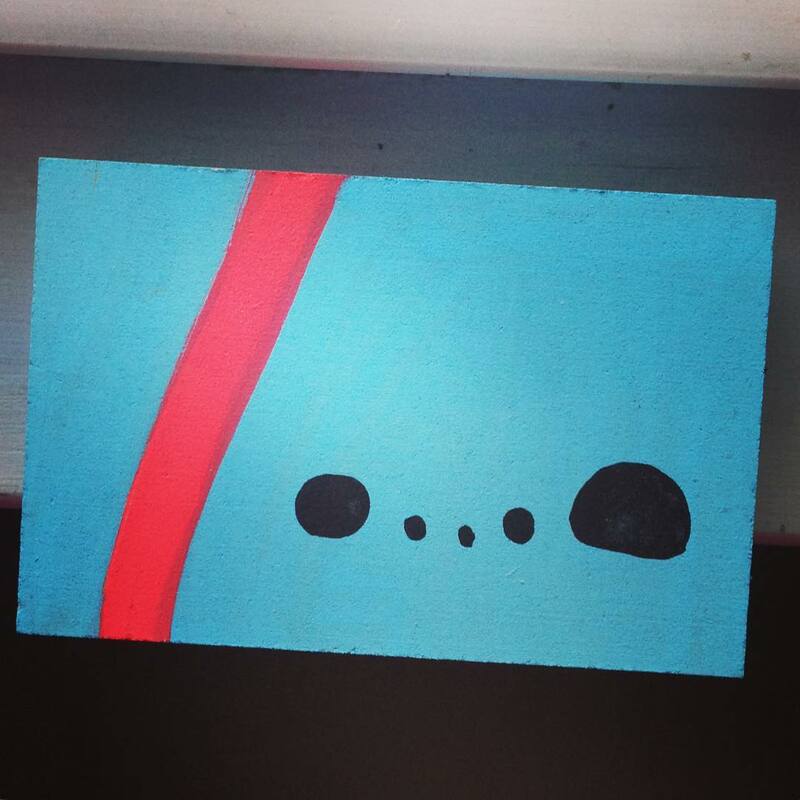 We will delve into the beautiful world of Joan Miro' in this Taste of Art class at Sawtooth. In the studio, I'm working on two different series for Art-o-mat, and I hope to have them ready soon. 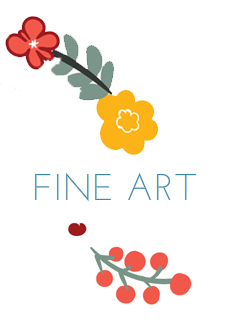 Stay tuned, also, for a new online class incorporating the style of Matisse. What are you working on these days? What's happening in your studio? 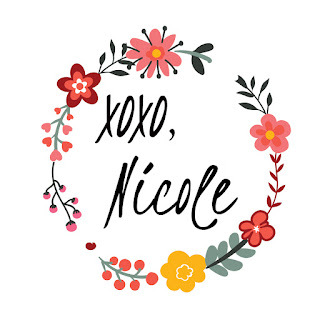 Let me know in the comments section below or through an email to nicole(at)nicolettaarnolfini(dot)com. I hope to be able to do this again soon so I can learn more about each child while practicing my sketching skills. It was a great, improvisational activity to develop my sketching abilities. Yesterday, I talked with a friend I haven't seen in several months. Although we never get to chat as much as we would like, I enjoyed the short time we had. He looked good, especially considering the challenges he has faced lately. Earlier this summer, his sister passed away. I was thankful I had the opportunity to tell him that I had been thinking of him and saying a prayer for him and his family. Later, I saw another beautiful lady who always wears a smile. September 11, 2001 marked a day of national mourning but also the beginning of chemotherapy for her young daughter. It is hard to believe that it's now several years since her daughter passed away. The word "grace" came to my mind so often yesterday. We are all in need of grace -- a word of encouragement, a hug, empathy. Someone you know may need any grace you can impart to him or her today. Despite life's imperfections, frustrations, setbacks, and disasters, we can extend all that's good in our humanity to make another person's burden slightly lighter. I believe that grace can conquer fear. I believe that each of us can get so weak and that we cannot find the light. That's when grace appears. I believe that by imparting grace, we can lead each other out of darkness back to the light. I wish G-R-A-C-E for you today. For a limited time, enjoy my new Abstract Art with a Twist: Paint a Craft in the Style of Klimt. for free with this link. We are painting a bold design on a wood craft (an arrow). There is an optional bonus project on a mini birdhouse, just in case you want to explore different designs from Klimt's imagination. This class focuses on the glittering, gorgeous designs of Klimt's portraiture from 1900 on. We employ iridescent acrylic paints for the first time in this class. Below is a list of art supplies specifically for this Klimt class. And you can find books, films, and other links here in this Resource List. 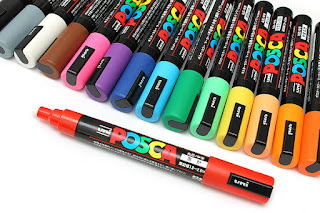 (Optional) Uni-Posca paint markers: These are the best acrylic paint markers I have ever used. My artist friends are crazy about these. They are not alcohol-based like poster markers, and they rarely drip. They also do not leave an oily residue (additive) on your painting. Paintbrushes: Large, medium, and small sizes. I like to use flat, medium-sized brushes for most work. It's a good idea to keep a couple pointed round small brushes in your arsenal for fine detail work. Click on the guide below for more information. Wood crafts: I purchase an arrow and some miniature bird houses from my local hobby store. Spray fixative or satin finish. I suggest 2 coats of this spray layer. Many people stop here, and that's fine. Some artists prefer to continue the finishing process by applying a Gloss Medium or varnish (liquid). I suggest 2 coats of this transparent varnish applied to the canvas. Because I touched up some white paint with white paint marker, I sprayed the entire arrow with Modge Podge Pearl Glaze to re-establish the "sparkle factor" of my bottom iridescent white layer. Gloss medium can also dilute thick paints, acting as an additive in a similar manner to water. I like to use gloss medium as the final sealant for my paintings. Remember you can apply it thickly if you want to create a 3D effect on the surface of your painting. I do not suggest applying gloss medium before you spray your canvas at least twice. If you skip the spray step, the medium might blend your surface color layers together. 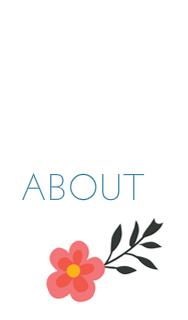 Record and share your inspirational thoughts, interests, and words. These will help you communicate the emotions and ideas you want to convey in your project. 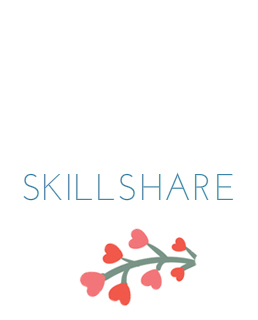 Take photos of these and share to your social media accounts and to the Skillshare class project page. On Instagram and Twitter, use the hashtag #modernartmasters. If you enroll in the class, please let me know about your experience. I'm just over the wires on the other side of this fun thing we call the internet. Don't hesitate to reach out! 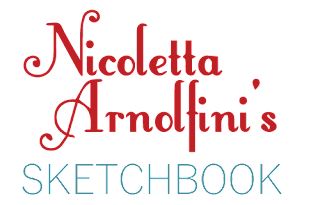 I can't recommend highly enough Christine Fleming's new Skillshare class called Art School Boot Camp: Redefining Success as an Artist. I really enjoy Christine's classes and appreciate her candor in sharing her experiences. The project for her class was for students to write about how we defined success as an artist, and how that can change over time. Below, I have described artistic goals, expectations, and failures. I hope that reading this will inspire you to allow yourself the time, room, and patience to embrace your own artistic journey. Please let me know if you, too, have redefined your idea of success as an artist by participating in some mindful reflection. 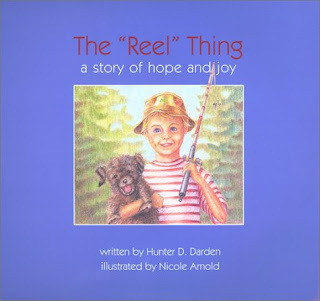 Original success meant to see my illustration work published in a children's book. After a zillion rejections, a self-publisher got in touch with me and paid me to illustrate her book. I did a few more after that, but found the process overall a little soul-crushing ("Make it look like Disney, but you know, not too much like Disney.") I stood up for myself, added "kill fees" into contracts, and killed two projects in a row due to some pretty bad publisher behavior. So that's when I realized I was going to be forced to change my definition of success, if I wanted to keep my sanity. Similar to Christine's experience, I was a bit paralyzed at this stage. I began painting portraits by commission and did this until the economy began to take a serious downturn in the late 2000s. During this time, my definition of success was for my art to be my single, chosen profession and source of revenue. About three years ago, I began to create art for Art-o-mat. 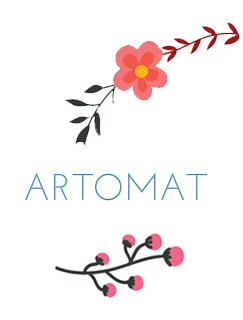 Art-o-mat offers (for $5) a small piece of art to the public -- affordable, accessible, fun. I did this solely because I wanted to find joy from the act of creating art. I had no income requirements -- my only rules were the structure of the Art-o-mat process. Through this community of artists, I began to find my way again. My definition of success at this time was to force myself back into making art and to shake myself out of lethargy. Did you notice that this is the first time I had not attached a financial measuring stick to my definition of success? Ironically, this period spurred a firestorm of creativity in me, with tangible outcomes. I had used my personal blog to discuss art and art-making previously, but now I wrote about art (mine and that of other makers and artists) in earnest. I found artistic communities on the internet that provided creative fodder and inspiration. I learned from my mistakes made in my Art-o-mat series and refined my style. I think, at the heart of this period, I had the freedom to experiment and the dedication to see things through. With financial pressures off (I have a rather demanding full-time job completely outside the art realm), I began to remember who I was as an artist and what about making art that I find fascinating. I come from a long line of teachers, and I genuinely enjoy the interaction between teacher and students in a community of learning. 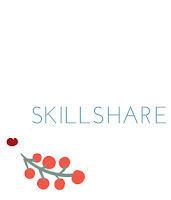 Teaching in person and on Skillshare has refilled my creative well with the energy and excitement that occurs from the exchange of ideas with others. And so my definition of success has morphed again: I want to teach art occasionally in person and online, maintain my Art-o-mat work, and be open to where these experiences take me. Because of my former setbacks, I am much more guarded now about attaching internal financial requirements to my art goals. Instead, I'm seeking to keep the joy of the art-making experience close and precious. And, I'm protecting my ability to maintain my freedom to experiment and grow as an artist. I'll let you know how it turns out!